You may not know very much about the Lynx but that will soon be in the past! Once you get done reading this you will have a great deal of information about this animal. It may spark your interest in them enough to encourage you to start looking for additional information about them. The Lynx has a very short tail compared with other felines. The Lynx is usually found living alone in isolation. They do sometimes hunt with each other though so it appears that they live in small groups. They live in areas that offer a high altitude. When they are about 9 months of age the young Lynx leave their mothers and have to care for their own needs. They are excellent at swimming and will often find bodies of water to cool off in. They also move around in the water to find fish to consume. The Canada Lynx also lives in Alaska and Colorado while many people believe it is limited to Canada based on its name. The Lynx is classified as an endangered species so it is illegal to hunt them. The Iberian Lynx has the highest risk of possible extinction at this time. In Romania the Lynx is the National animal. The Lynx has been heavily hunted in order to make fur coats from them. The black tufts at the tips of the ears serve to help them have better hearing. They Lynx is a night time hunter. They often hide during the day which is why they are rarely seen by humans. The average sized Lynx is comparable to a medium sized dog. The Lynx can usually live about 13-15 years in the wild with the right conditions. The feet of a Lynx are huge, he print size are similar to those of mountain lion. The Lynx is a very vocal animal. They make many sounds for communicating with each other. This includes yowling, hissing, and chattering. The young Lynx are called kits. There are four species Lynx still living today. 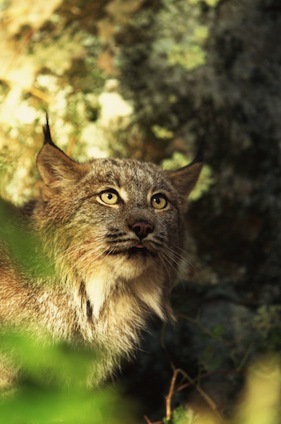 They include the Canadian Lynx, Eurasian Lynx, Iberian Lynx, and the Bobcat. The Desert Lynx isn’t categorized in the Lynx genus which can be confusing to many people. The word Lynx means to shine and the name comes from the fact that these animals have eyes that shine. The Bobcat is believed to be the best mid sized animals that hunt on land. They are adaptable to their environment and the types of animals they will feed upon. Alaska is a place in the United States where it is legal to hunt them. However, it is believed that poaching of the Lynx continues in very high numbers. There are many predators of the Lynx when they are small. This includes coyotes, hawks, eagles, and owls. The risk of such predators drops as they get bigger. The Lynx is highly susceptible to disease and parasites. The fact that they move around in their environment often means that others can quickly be exposed to it too. Large numbers of Lynx are injured or killed annually due to roads being built in their natural habitat. They are very active at night so they can be hit by cars. The Bobcat is the only type of Lynx that has been noted to attack humans. They do so only when they have rabies or when they feel that they are in danger. More attacks have been noted in the last 10 years due to humans moving closer and closer to such habitats.